2018 was a banner year for my reference system. My Hi-Fi has been a work of passion for 25 years and has gone through a myriad of changes, analogue and digital, tubes and solid state, and everything in between. I demonstrate audio zealotry the same as any other thrill seeking audiophile. It's been that way for many years—but in 1997, the journey took an upward trajectory with the creation of Audiophilia. It took a couple of years and the support of tremendous writers, readers and sponsors, and slowly but surely Audiophilia found its place in the audiophile review pantheon. Scrupulously honest reviews written by musicians and audiophiles—the simple dictum to write elegant, approachable, accurate reviews. So, from 1997 on we began getting lots of requests to review gear and music. What a treat and one of the main reasons Audiophilia was created. Yes, the game changed, in some ways for the better with lots of gear from which to choose and at accommodation prices if purchased, and in a few ways for the worse as I was no longer a 'civilian'—what I said or wrote really counted. No casual comments. And readers (and most manufacturers) wanted the absolute truth as we heard it. With the embarrassment of riches now before me, I got to choose some damn fine equipment to review, much of it suggested by our readers. Even if not purchased, the gear would stay in the system for several months for me to enjoy. Much of the gear honoured my system. Prior to the most recent changes, I upped the amplification stakes and purchased the Jeff Rowland Continuum S2 Integrated Amplifier ($12,850 with phono). It's an amazing bit of kit and anchors my whole system. At times, I miss 'fiddling' with a full featured preamplifier (two current favourites include the PS Audio BHK Signature Preamplifier and the Pass Labs XP-12 Preamplifier), but for now, the Continuum S2 is the foundation of my system. Long time readers will know of my admiration for designer Michael Levy's superb speakers (Alta Audio), the Celesta FRM-2s, especially. I finally received a pair. They sound as good in my system as they do in other Audiophilia writers' systems. Read about their journey to my room and my recent review here. The Jeff Rowland integrated may be the system anchor, but the speakers are for damn sure the stars. My digital desires hooked a rocket ship this year and created a love triangle between me, Mojo Audio and Antipodes Audio. Antipodes and Mojo are manufacturers of exceptional music servers, with Mojo adding a new DAC almost annually (time for Antipodes to develop a killer DAC). Presently, I'm living with the Antipodes CORE Music Server ($5000) and a lovely Bel Canto 3.5VB DAC ($4500 with VBS power supply). Vivid, vibrant, vivacious sound. I love the combination. The CORE accommodates Roon, too. A new Antipodes music server/renderer (the EX) is soon on its way from New Zealand (consumer demand has been triple for the new units so reviewers' samples are on back order). 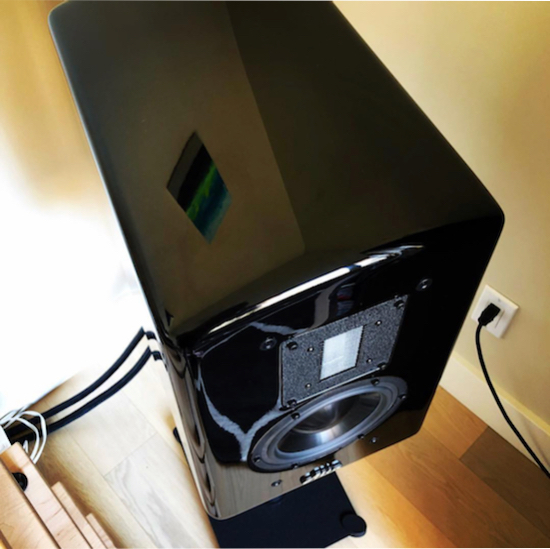 Earlier this summer, Audiophilia's Karl Sigman very favourably reviewed Mojo Audio's Deja Vu Music Server ($7000 in Karl's requested configuration). I got to play with Mojo's excellent Mystique DAC v3 ($5000) and publish a review. And like the wonderful Bel Canto, it paired beautifully with the Antipodes CORE. Don't let anybody tell you that a high quality phono stage is not worth its weight in gold. Models from Audia Flight, Herron, Manley Labs, Pass Labs, Sutherland Engineering among others propel your analogue experience into the stratosphere and are perfect matches to other high quality analogue components. I chose the Sutherland Engineering DUO Phono Preamplifier after a lengthy review. It's a transparent, dynamic delight, with easy to change gain/loading and looks very handsome with its monoblock chassis. MSRP is $4000 and worth every penny. I purchased the DUO to match another summer purchase, the wondrous, $6000 Phasemation PP-2000 MC Phono Pickup Cartridge. After the review, I could hear my inner audio demons tugging and grumbling, 'send it back'. Screw them! It stayed. I could not summon the strength to return a cartridge that gave me such unalloyed pleasure. Even the good lady of the house approved of the purchase. After all, she's the person who set it up on my Rega RP10/RB2000. With my 'table/arm/phono stage/cart combination, I am now in analogue bliss. What could rock the boat? This week I received an email from the manufacturer of a superstar Danish turntable. That's for another post! So, to the final paragraphs and the last piece of the puzzle. You all know how satisfying it is to place that piece, right? As such, I was sitting, fat, dumb and happy when Paul Speltz of Anticables emailed me with a suggestion that I replace all my power cords (a hodgepodge of Cardas, Audioquest, CorePower Technology, and stock) with his top of the line model. That's seven Anticables Level 3 Reference Series Power Cords ($330 x 7 all in 1.5 metre lengths)—if you're counting, Rega power supply, Sutherland Engineering x2, DAC power supply, Music Server power supply, integrated amplifier and power conditioner. The effect and cohesion of the seven power cords was immediate and quite remarkable. They don't make a difference? How could they? Don't you know the electrical engineering, fool!? Hey, I believe my ears. Sure, my wife and I play ABX games. She's a trooper. But the effect was so clear, even a cloth-eared dolt could tell the difference. I had three Anticables Ref 3 power cords in my system for a few months (the other four were back ordered), but all the gear changes over the summer obviated any objective or even subjective data. But when the gear dust had settled and I introduced the extra four into the system, the effect of all the power cords was as if a clear, cool stream was made sound—even more refinement was added to the already glorious sound. Yes, glorious sound made better, somehow, and not psycho acoustically. It was tangible. For the naysayers, 'you can't hear it', you say. Good for you. Lucky fella/lady. Enjoy the extra dosh in your pocket. But just don't say that I can't hear it or I'm imagining it. Just as I can hear the slightest slip of a note in a triple fortissimo orchestral tutti when conducting, I can hear the changes when a component (what I call interconnects, power cords and speaker cables) is placed into a system, let alone seven! The Ref 3 Power Cords from Anticables leverage your system gradually into another level. They are definitely Audiophilia Star Components. What good is a system full of legacy, classy components if the electrics or topologies don’t match? Luckily, most modern equipment is built to exacting standards, so, unless you are pairing a low power SET amp with very inefficient speakers, your equipment of choice should work. Benign matching. Even more important is room synergy. Mine is okay, nothing great. Too small, if anything. And it seems well damped, by luck more than science. The sound is still very fine—I had seven sets of visitors staying at the house over the past five months, Audiophilia colleagues, manufacturers, as well as musician friends. They are not shy in expressing their opinions. All really enjoyed the sound. The room seems to take high decibels in its stride but I rarely overload it. However, I’d like a few more square feet. Other than that, I’m in a very happy audiophile place. I hope you are, too.